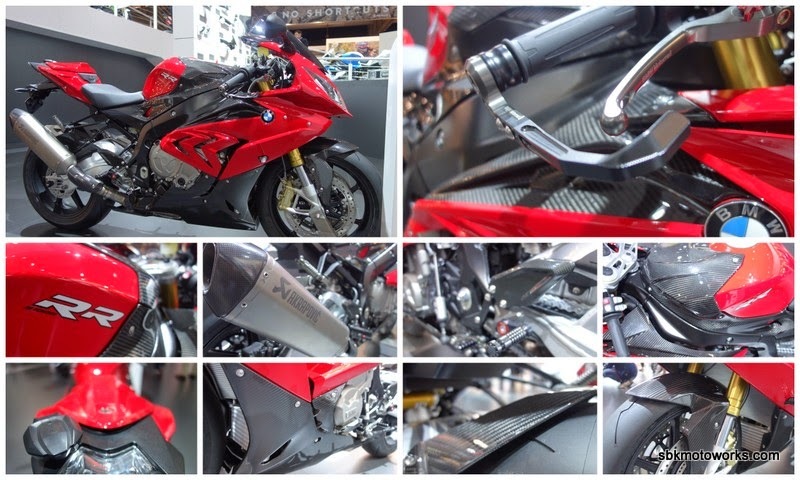 SBK Motoworks: BMW S1000RR 2015 "competition version"
From the last EICMA'14, we've seen the complete S1000RR'15 with HP parts and with lots of carbon fiber parts (tank fairing, front fender, rear fender and belly pan) and with Akrapovic exhaust. We have no further info whether BMW Motorrad will announce two different version in 2015, the Base and Competition model like what they did with HP4 in 2013. If not, this might be some good idea for the new owner of this 2015 model to make your bike looks cool. We are working with our partner to supply the carbon fiber parts for this 2015 model and we already have Bonamici Racing parts in stock. Bonamici racing will continue to work together with BMW Motorrad WSBK Team in 2015. Sylvain Barrier will be riding this new model in 2015.